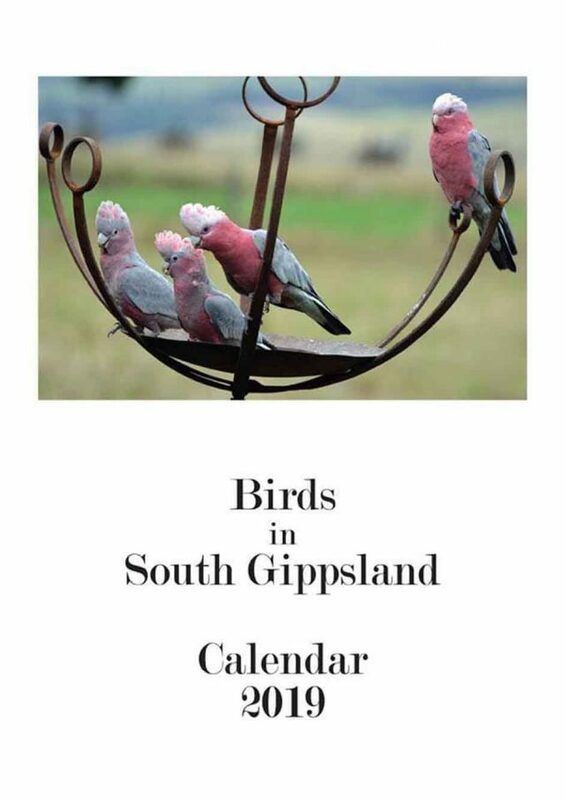 Lunch or coffee and cake at Headquarters café, catch the current exhibition, stock up on art materials and pick up a calendar on the way out. 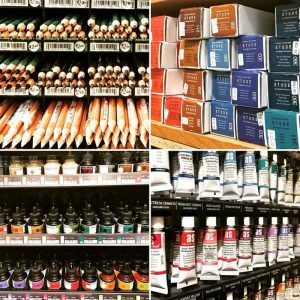 Sounds like a good plan…..
Did you know we sell art materials? 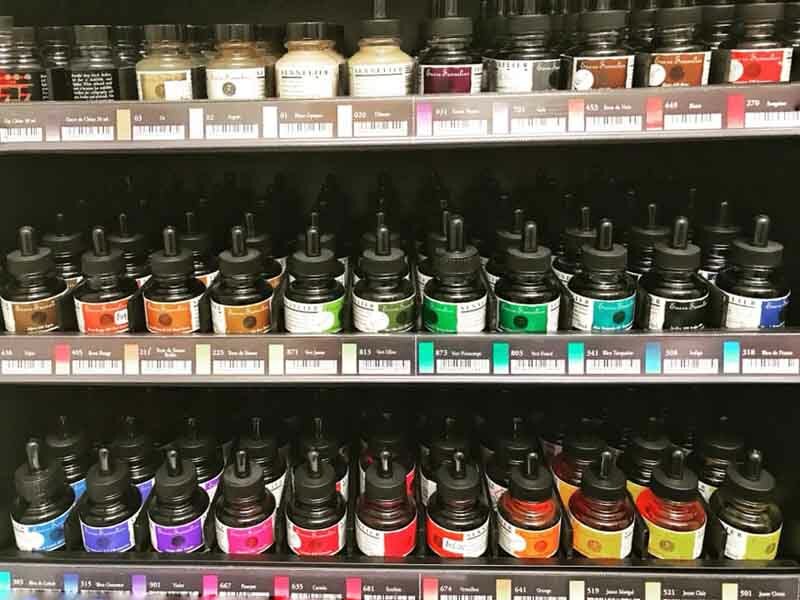 Not just any old art materials….we sell quality so you can create using quality tools and ingredients, which we all know makes a huge difference in outcome. Using materials such as paints which are made with very little pigment and lots of fillers is disappointing when the paint won’t respond or cover an area like you’d expect and painting on that inexpensive big canvas from the $2 shop which then warps out of shape because the stretcher was made of soft cheap timber. It can be so disheartening. Start with quality and you’re on your way to producing ‘quality’ that will last! So, our fantastic ART MATERIALS SALE is on again right up till Christmas! A huge 25% off all materials in store, don’t miss your chance to get that gift of treat yourself! 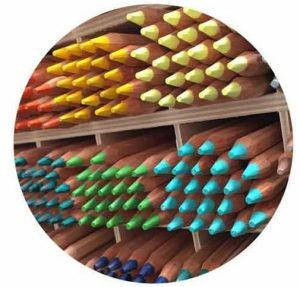 We have beautiful gift box sets of pastels, paints and pencils in just for the sale also, a perfect pressie for someone special…. Yes! 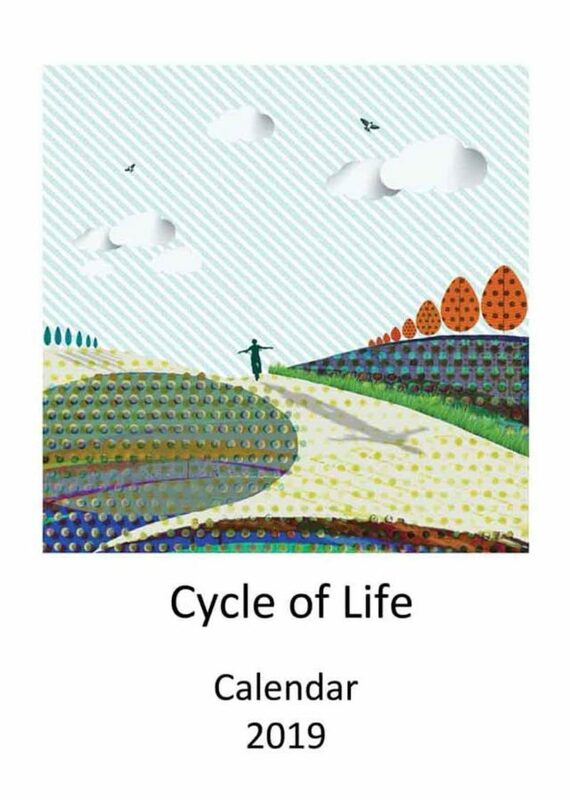 We have your year ahead all wrapped up…in this calendar by Kerry Spokes, now available from Gecko or we can post you one. 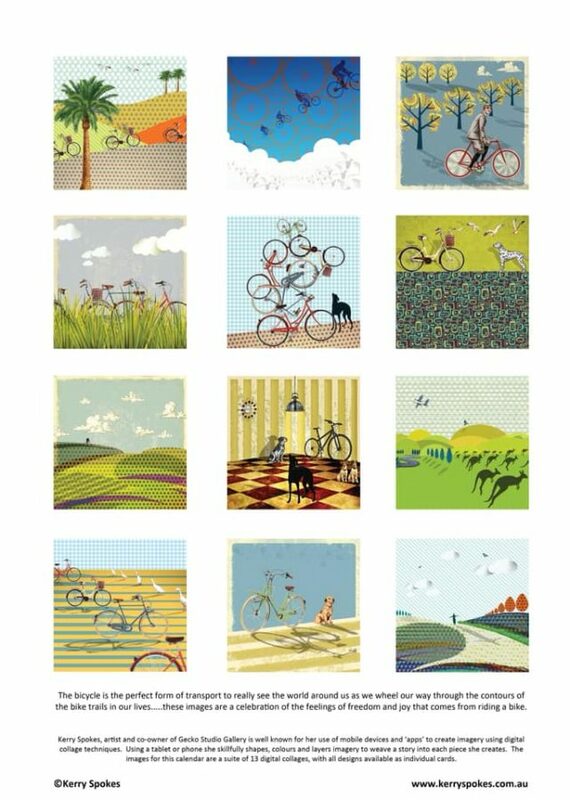 Featuring the designs from her recent suite of cards on cycling, it’s the perfect gift for that bike enthusiast you know…or yourself! 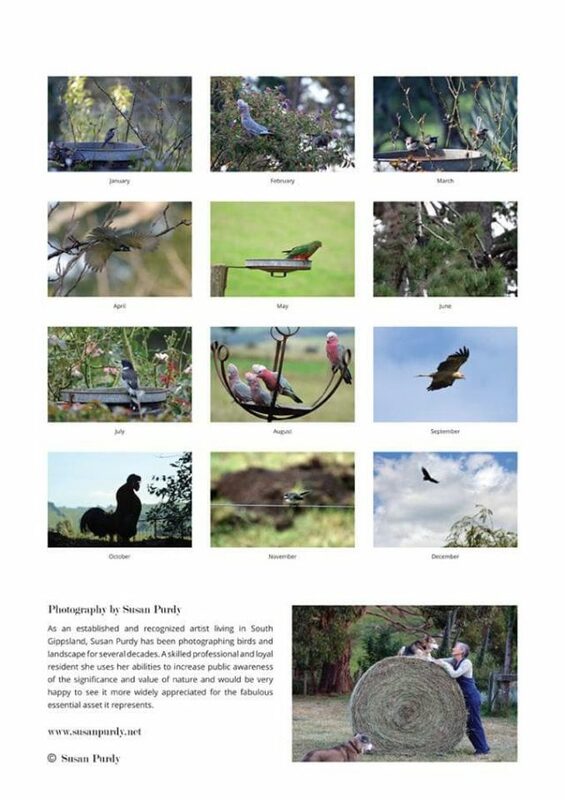 I store now at Gecko or send a message if you’d like one posted. $30 +$16 postage.